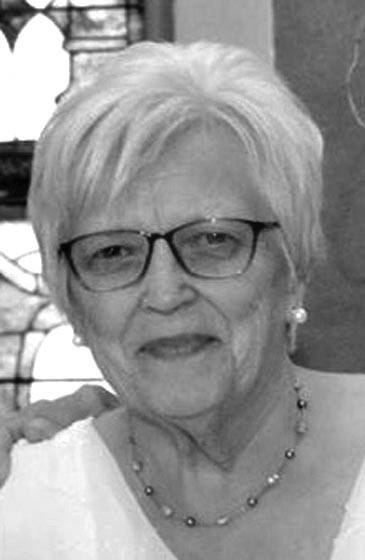 MARQUETTE, MI – Marilyn Lempesis, 79, of Marquette, entered eternal life Wednesday morning, April 10, 2019 at the D.J. Jacobetti Home for Veterans in the loving presence of her family and under the care of Lake Superior Life Care and Hospice. Marilyn was born on November 7, 1939 in Negaunee, a daughter of the late George and Hilma (Lehtomaki) Luoma. She was a 1957 graduate of Graveraet High School and was a lifelong Marquette County resident. Marilyn was formerly employed as a bookkeeper at Marquette Area Public Schools and later worked in the same capacity at Teaching Family Homes for many years. She was a lifelong member of Redeemer Lutheran Church as well as the Lady Elks. Marilyn participated in many art classes over the years, eventually becoming a proficient artist. Her most requested painting was of Andy’s Bar, which the family owned and operated for many years. In her spare time she enjoyed knitting, crocheting, ceramics and spending time with family, especially her grandchildren. They were her pride and joy. Marilyn is survived by four children, William “Bill” (Leah) Lempesis of Appleton, WI, Georgia Lempesis of Marquette, Nikki (Brian) Gingras of Appleton, WI and Chris (Rachel) Lempesis of Milwaukee, WI; seven grandchildren, Desiree and Jonah Lempesis, Andy Lempesis-Bullard, Emma and Sam Gingras, and twins, Nicklas and Vincent Lempesis; also a special cousin, Darlene Slatick who was like sister to her. Preceding her in death besides her parents was her beloved husband, Andrew “Andy” Lempesis on January 21, 2019; also two brothers, Daniel Luoma and Teddy Luoma. Funeral services will be held on Saturday, April 13th at 11 a.m. in Redeemer Lutheran Church with Rev. Chad Ott officiating. The Lempesis family will greet relatives and friends beginning at 9 a.m. Saturday until the time of the service in the church. Spring burial for both Marilyn and Andy will be on Friday, May 3rd at 2 p.m. in the Park Cemetery. The Lempesis family would like to thank the D.J. Jacobetti Home for Veterans and Lake Superior Life Care and Hospice for the wonderful care Marilyn received over the last few months. The Canale-Tonella Funeral Home is assisting the Lempesis family where memories may be shared at canalefuneral.com.